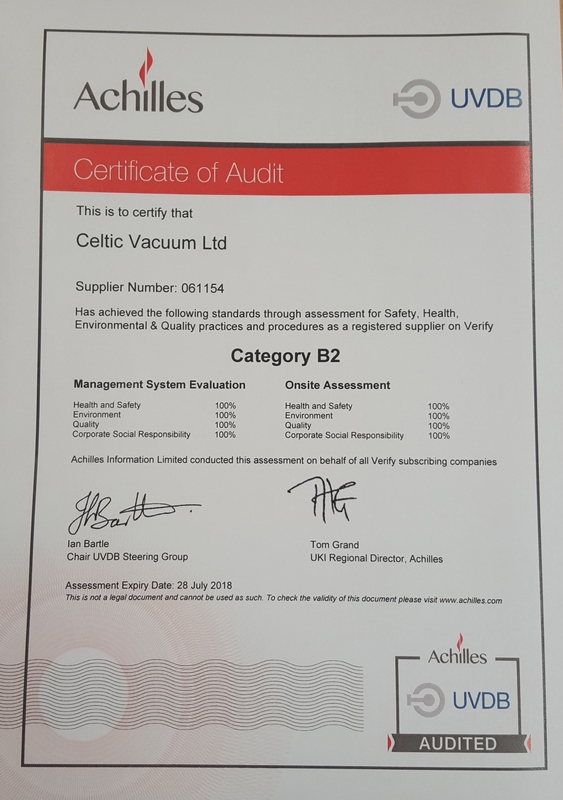 Celvac has demonstrated its dedication to business systems excellence by passing two rigorous external audits with flying colours. It has passed renewal audits for OHSAS 1800, ISO 9001 and ISO 14001, successfully transitioning over to the new 2015 standards and again received 100% status in its Verify Assessment. In both cases, the audit reports reflected high standards set in maintaining the required management systems. Claire Gottwaltz, General Manager for Celvac said, "We are very pleased with the audit reports we have received. We do not see these accreditations as a tick box exercise and its pleaseing to know that we have robust systems in place to assess and control the quality, health, safety and environmental performance of our operations. Congratulations go to all involved in making sure our systems are robust and industry leading". Our raft the "Tenby Tanic" made it to the end, we came 19th out of 35 and everyone on board stayed relatively dry although they've all got some big blisters to be proud of. We made quite a splash with our Welsh crafted vessel and will definitely be competing next year. So far we've raised nearly £2000 for WaterAid which is fantastic but we would like to beat this total so if you haven't still donated please visit our page www.justgiving.com/fund…/companyteam-tenbytanic-wateraid2017. Well done to Michell, Peta, Callum, Jamie, Rhys and Robin for their rowing efforts and to Ben and Nigel for shoreline support and the cold beers at the end. 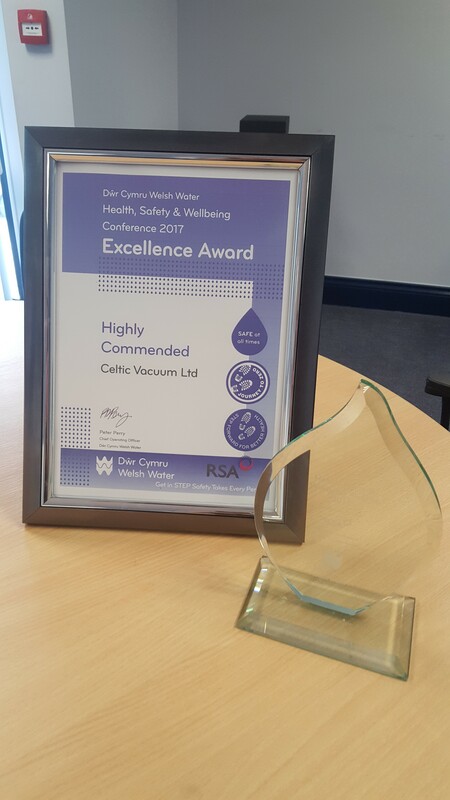 Last week at the Dwr Cymru Welsh Water Health, Safety and Wellbeing Conference in Swansea the Celvac team won an Excellence Award for excellent safety standards, near miss and hazard reporting. We are very proud of this achievement and it's all down to the efforts of everyone every day on site, in the workshop and in our offices. 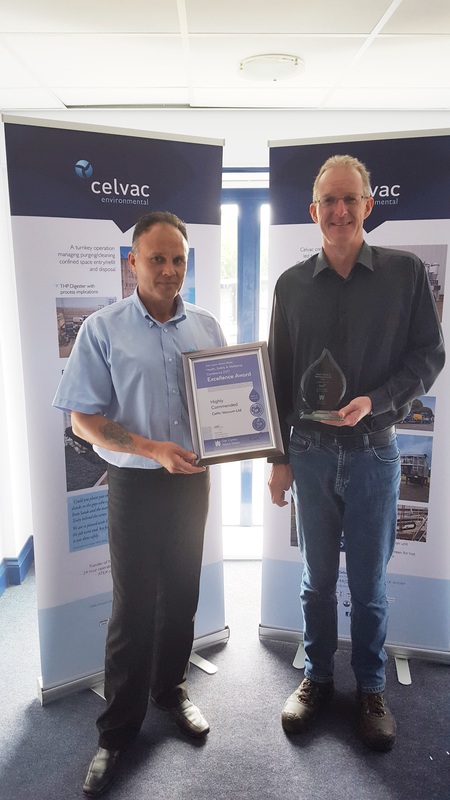 Pictured in the photo are Peter Horsley, Celvac's Contract Manager for the DCWW contract and Steve Van Rhyn, Health and Safety Manager. Over the years, Celvac has supported WaterAid, a great charity that has teams in 37 countries across the world working to transform millions of lives every year by improving access to safe water, toilets and hygiene. Since 2014, 2015 and 2016 we have raised nearly £2000 per year for this valuable cause and we want to continue our efforts throughout 2017 so the “TenbyTanic” is taking to the cold waters of the Thames and participating in Thames Water’s Annual Raft Race. The raft is home-built and will consist of 6 Celvac brave sailors paddling their way through the murky waters around Reading this July! For footage of its maiden voyage visit our facebook page https://www.facebook.com/celvac.co.uk. If you would like to show your support for our team and this fantastic charity then please visit our Justgiving page at www.justgiving.com/fundraising/companyteam-tenbytanic-wateraid2017 and make a donation.